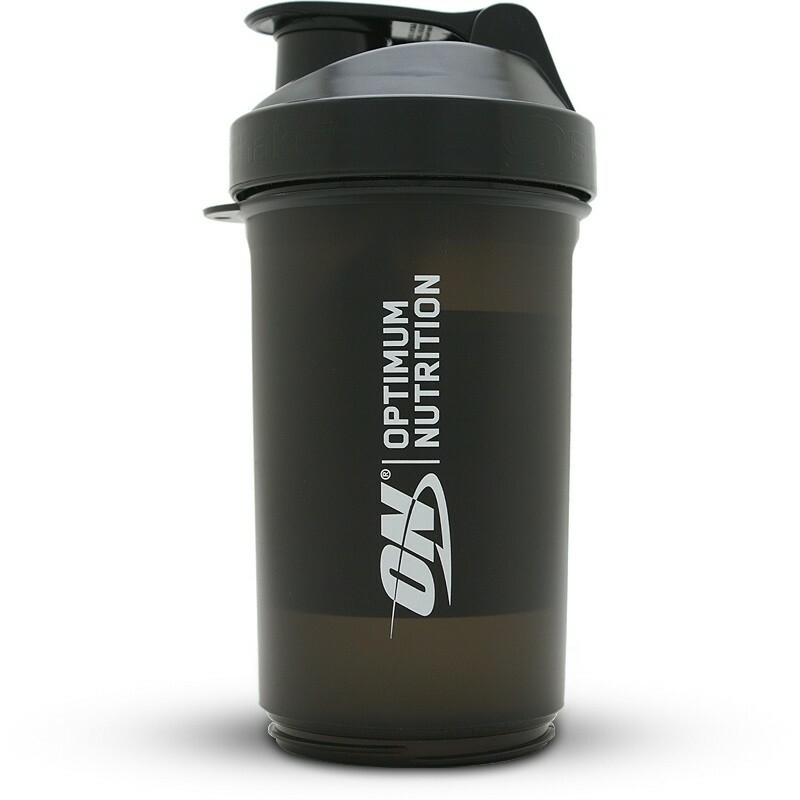 Optimum Nutrition Shaker is a premium quality shaker with an elegant design. The 800 ml capacity is perfect for mass gainer shakes. 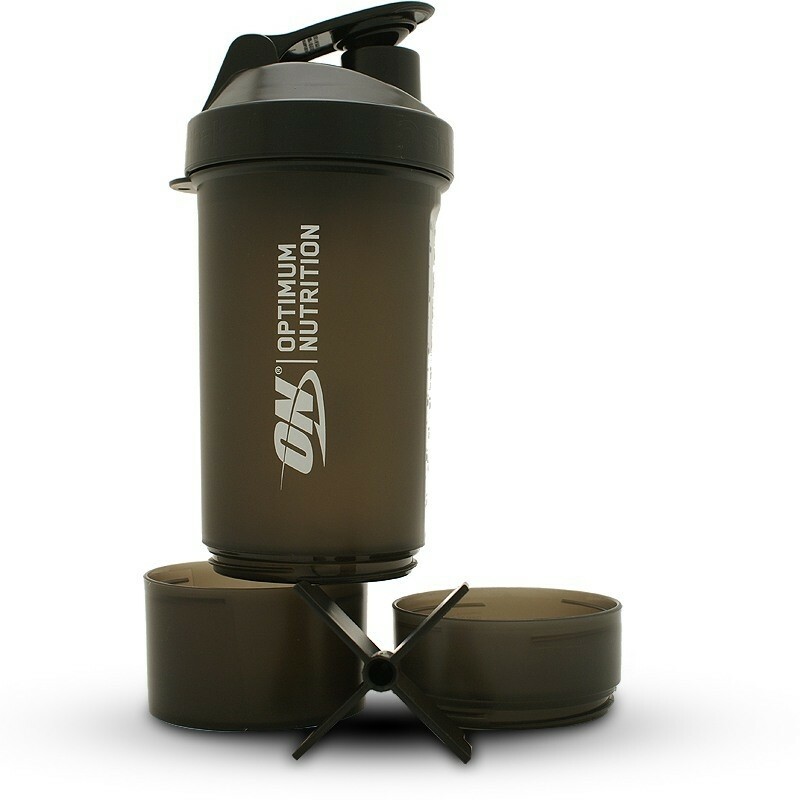 It has two storage compartments to keep your protein powder and a unique cross-shaped sift which ensures proper mixing of your shake. The compartments can be placed inside the shaker or screwed onto the bottom when carrying water.